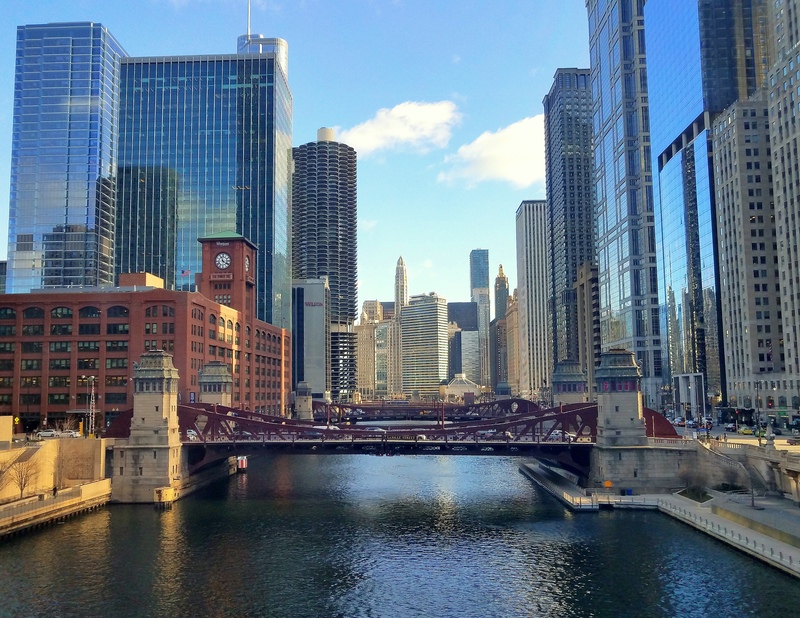 Besides the return of the robins, seeing the “Chicago Water Taxi” service on the Chicago River is always a sure sign that Spring has arrived. I cannot believe that I have yet to take this water service, but I definitely plan on it this season. Wendella Boats is the company who provides the Chicago Water Taxi service (among other boat services, such as architectural boat tours) along the Chicago River. Amazingly, this service began back in 1962; back then, it was primarily used by commuters hoping to avoid the downtown traffic jams that were (and still are) commonplace. This service is also great for tourists (and locals) alike. You don’t need to get wet in order to ‘hail a taxi’! It has a schedule with regular stops and is quite affordable as well. A one-way ticket is $6.00, while an all-day pass is $10.00. I think this is a great way to get from watery point A to watery point B and see some incredible sights of downtown Chicago along the way. The water was still a bit ‘festive’! I hope you are having a lovely day whether by foot, car, rail, or water-way!